WHAT IS IT? Home made nail stickers. I saw them at Spektor’s Nails weeks ago and always wanted to try out if this works and it does: You paint them on some foil, let them dry and then you can cut them and fixate them on your nails with a little nailpolish. Later I found this very nice tutorial which gives a good idea how to make decals that are already better fitted. WHAT IS USED? 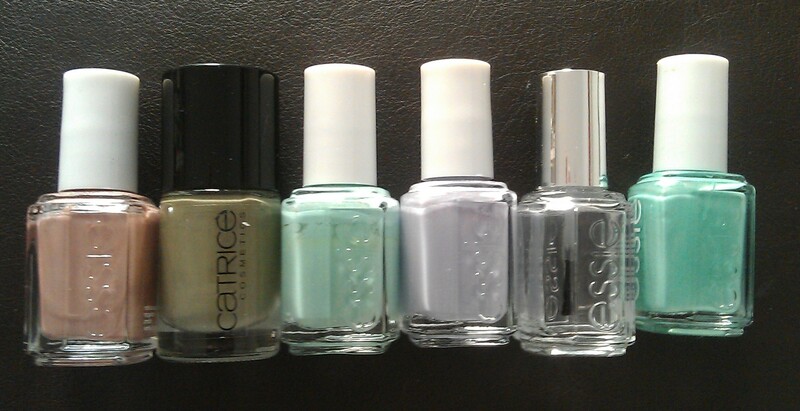 My base colour was essie’s turquoise & caicos and I accentuated them with catrice’s 670 it’s rambo no. 5 and essie’s 37 lilacism, 99 mint apple candy and 82 buy me a cameo splattered on it. To fixate and smoothen everything I used, well you might guess, essie’s good to go. HOW DOES IT FEEL? Well the colour combination was one from nail polishes I hadn’t used before in the challege so it is debateable but the idea is good even though it takes a little time to fit them to your nails and fixate them there. I guess will try the second tutorial too one day. Check out my other nail arts for the 31 Days Nail Challenge too. This entry was posted in Nail Art and tagged 31 day nail challenge, buy me a cameo, Catrice, essie, Inspired by a Blog Nails, it's rambo no. 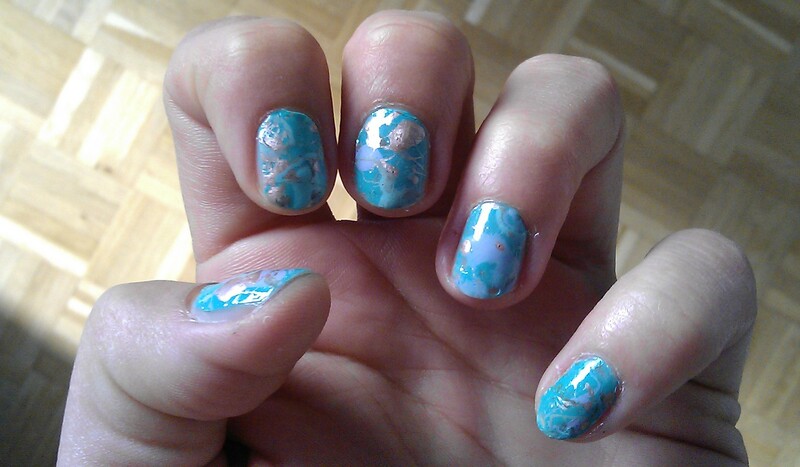 5, lilacism, mint candy apple, Nailpolish, turquoise and caicos by kathatravelling. Bookmark the permalink.